The IFDW7TF is a professional 7” indoor fusion dome camera housing from Videolarm which is designed to provide users with a reliable and well adaptive security camera protection solution that can be used in many different installations. The IFDW7TF camera housing comes with a wall mount, a thermostatically controlled heater, a polycarbonate lower dome, surge protection, a durable engineered plastic top w/ UV protection, plus a high impact body. 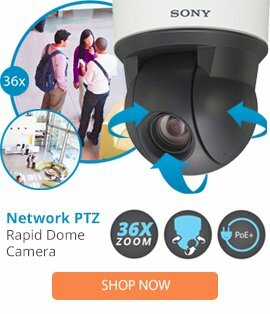 The IFDW7TF dome camera housing also features indoor environment support, RoHS compliancy, an IP56 rated exterior, plus comes complete with an OptiClear™ polycarbonate viewing window construction. This camera housing is able to deliver high support and protection, and can be used in a range of different installations. Accepts one fixed camera - MCL 7.5"